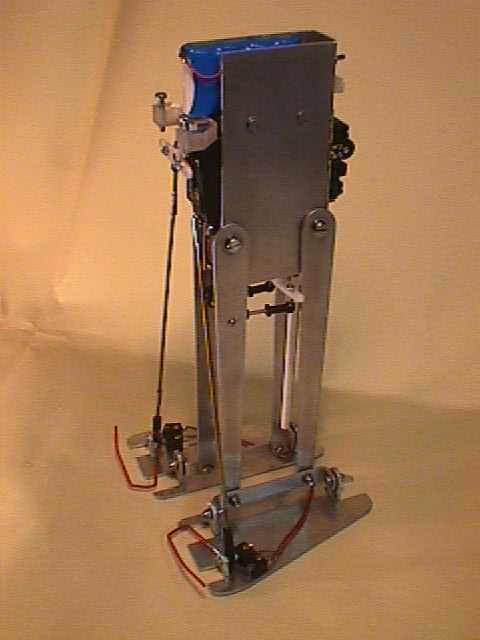 Flat Feet is a bipede robot. It is made out of aluminium, and very easy to build. The construction is almost the same as that of BIPEDE by Chevreul. good, and moves very fast. This can be adjusted with no problems. When bumping into something, it reverses for several seconds. robots, like a Hexapod and a BEAM walker. making one your own isn't that difficult.